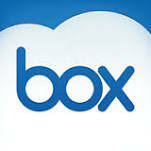 Karen Appleton, a Senior VP at box.com, and one of our Stevie® Awards for Women in Business judges, founded box.org to help nonprofit organizations be more productive and collaborative by providing access to cloud technology. Buying and selling sound like simple things—and they should be. Somewhere along the way, they got complicated. Square is working hard to make commerce easy for everyone. Winner of a Gold Stevie in The 2014 International Business Awards, MySmartEye is an innovative mobile app to help the visually handicapped “see” by using technology to crowdsource visual descriptions from a worldwide community of micro-volunteers. Also a Gold Stevie winner in the 2014 International Business Awards, Personal Excellence App is a tool to help motivate and reinforce leadership concepts to help users improve personally and professionally. Available for individuals or companies on Android and iOS. Have a favorite app, blog, or website? Nominate it for one of our app awards or website awards categories in the 2015 American Business Awards.